Eaglelistic SI 83 (g. By Flyingwitheagles). Winner at 2, 2016, $12,580. 3rd Four Corners Futurity. CATCHMEINYOURDREAMS SI 106 (Pritzi Dash). Champion Aged Horse twice. Champion Aged Golding 3 times, 14 wins to 8. $1,040,929. Chlg. Champ. [G1]. Los Alamitos. Champ. [G1] 3 times, Go Man Go H. [G1]. Calif. Chlg. [G2] twice. Silver Strand S., 2nd Champion of Champions [G1] etc. LOOKINGFORAGOODTIME SI 105. 8 wins to 7, $82,828. Batlle of the Breeds Summer S.
Cashinginmydreams SI 103, 2 wins to 3, $87,307, 2nd Heartbeat of America H. [R] [G3]. Ruidoso Juvenile Inv. 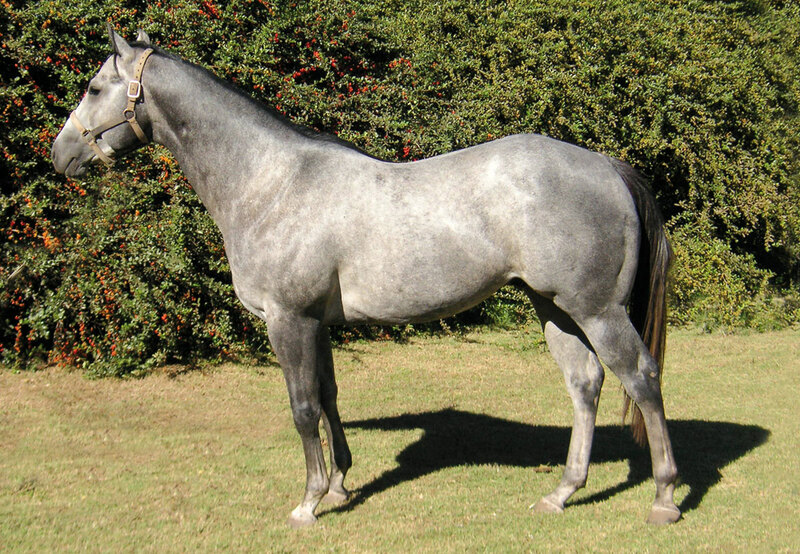 [R] 3rd B.F. Phillips, Jr. H. [R] [G3], finalist Rainbow Futurity [G1]. Ruidoso Derby [G1]. Diamons N Dinasty SI 98. 3 wins to 3, $ 33,365, 2nd La Pacifica S.
3rd dam ELANS SPECIAL SI 98, by Special Effort. 11 wins in 22 starts to 4, $1,186,540, All American Futurity [G1]. Miss Princess H. [G2]. 2nd St. Nicholas Express H. [G3]. 3rd All American Derby [G1]. Rainbow Futurity [G1]. Rainbow Derby [G1]. Sister to SPECIAL ELAN SI 98 ($ 100,831) Effirtless Again (dam of ALL ABOUT EASE SI 98, $309,503 [G1]; granddam of ZOOMIN WITH EASE SI 104 $388,299 [G1]; EXECUTIVE BRASS SI 107, $382,282 [G1]); half sister to REACH TOGETHER SI 101 ($ 193,261). Out of DASH AGAIN SI 93($254,068). Dam of 12 foals to race. 10 ROM, including- REALLY SPECIAL (ALPHA) SI 90. APHA World Champion. APHA Champion 2-Year-Old, 3 wins , $93,580, Masterpiece Futurity [G1]. GOTOTHEMOUNTAIN SI 98 (Rise A Secret). 3 wins to 4, $65,971. Calif. Sires Cup Fut. [R] [G2]. 3rd The Classics Derby [R], Finalist [G1]. Brubeck SI 99 (Bono Jazz). 4 wins, $54,368, 2nd Calif. Breeders S. [R] [G3]. Coded SI 93. Winner to 4 $36,307. 2nd PCQHRA Breeder’s Derby [G2]. Make Over SI 87 (Separatist). Dam of NEW LOOK SI 98 ($256,517 [G2]). By IVORY JAMES SI 103 (2004). Stakes placed Winter of $220,026. Brother to PYC PAINT YOUR WAGON. Sire of 486 ROM, 29 stakes winners, $10,780,740, incl. IVAN JAMES SI 104 (4 wins, $395,817, Sam Houston Fut. [G2]), FIRST PRIZE DIVE SI 110 ($153,582, Black Gold Fut. [RG3]), RAPID IVORY SI 98 ($140,023) I V GONE SI 105 ($126,145), JB JAMES SI 108 ($122,060), MITFORD SI 109 ($121,514), SPECIALS JAMIE SI 99 ($116,172).